Our break got off to a great start when we ditched rain sodden Dublin for beautiful spring sunshine in Ballina, Co Mayo. After three hours on the road, we arrived at the Ice House... and what a welcome. 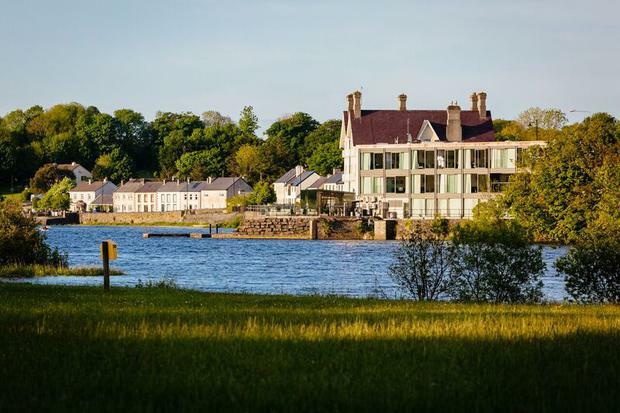 The historic building, originally known as the Iceland Cottage, is nestled into the banks of the River Moy and effortlessly blends the old and new. The hotel makes the absolute most of its natural landscape and when you step in to the lobby everything seems to just melt away. Checking into our spacious room we were greeted by a dessert of macaroons... I was won over already. A trip to the luxurious Chill Spa and all is right with the world. There's plenty of beauty to explore beyond the hotel’s door, but there's just as much to keep you right where you are. While it may seem a tad lazy, getting breakfast sent to your room in the Ice House is a real treat. 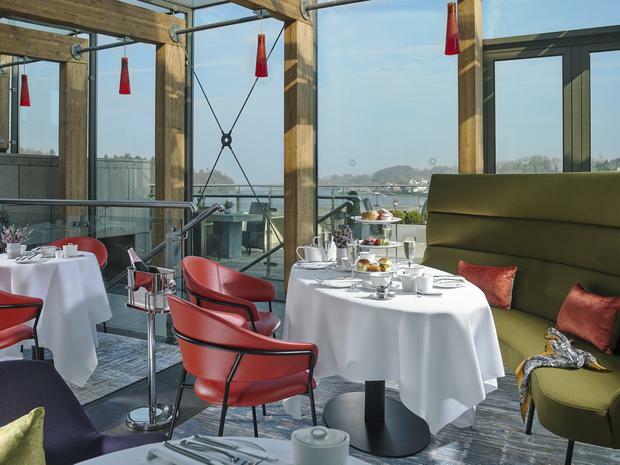 What could be better than tucking into a hearty brekkie with the River Moy sweeping past your window? The views from the rooms are so good you will want to soak them up as much as you can. 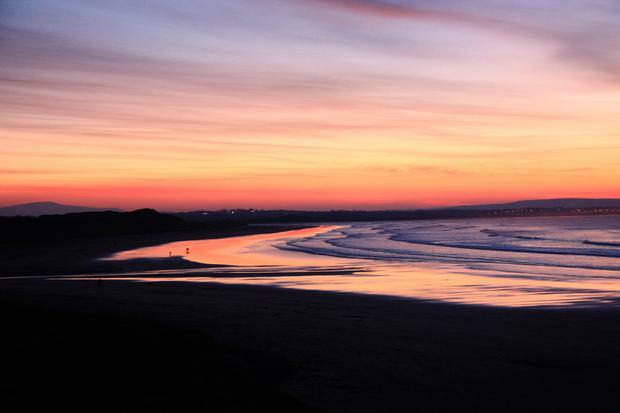 Enniscrone Beach is one of the country’s most majestic natural beauty spots. Crossing the Sligo border it is just a 15 minute drive from the Ice House and a great place to go for a stroll. Bordered on one side by towering dunes, the beach seems to extend as far as the eye can see. Enniscrone is popular with surfers and also boasts one of the country’s most revered links golf courses. If you are feeling brave enough a bracing dip in the Atlantic will certainly get rid of any cobwebs. Sometimes the best things in life really are free. Afternoon tea is a great way to lazily spend a day. The Ice House dedicates a space for guests to indulge their taste buds with Head Chef Anthony Holland’s creations. Neat but hearty sandwiches followed by an array of desserts will leave you battling to make room for dinner, and the Connemara smoked salmon perched on treacle bread was a real winner. The views of the Moy are almost as delectable as the food. Afternoon tea is on the menu between 2pm and 5pm and starts at €25 per person. Advanced booking is advised. The Ice House is located a short distance outside Ballina. After tucking into afternoon tea a stroll back into the town along the river is a great way to stretch the legs and explore. If you fancy going a bit further afield why not rent a bike and tackle one of the many trails that slalom through the Mayo countryside. For the most part getting to Ballina is handy, there are stretches of road on the way though that get a bit bumpy and narrow. Give yourself plenty of time and if the mood takes you maybe stop off in the popular Foxford Woollen Mills on the way to your ultimate destination. Heading out of Dublin, we drove the N5 and landed at our destination just over three hours later. 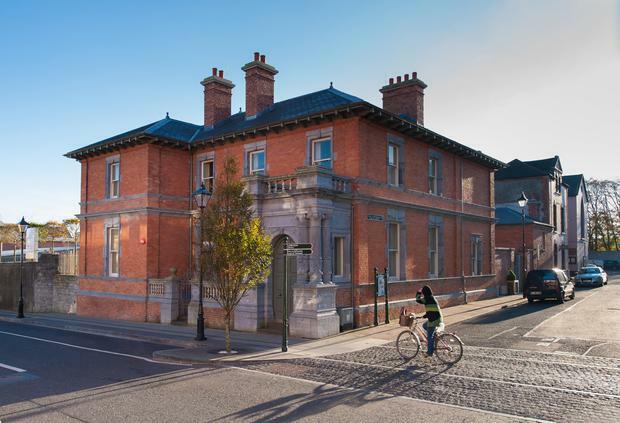 A Bubbles and Bliss break at the Ice House offers guests champagne afternoon tea on arrival, access to the Chill Spa and bed and breakfast from €229 per room from Sunday to Thursday. Rory was a guest of The Ice House (096 23500; icehousehotel.ie).